What bookstores want….and why indie authors should learn to give it to them. Part I.
I see a lot of indie authors complaining that they can’t get their books into the indie bookstores. They blame it on a number of things. Their book comes from Createspace. The manager refused to even look at it. They told me they had no room for my book. He said they don’t sell my genre. The list goes on and on. One recent article I read had a comment that claimed indie bookstore owners “had a level of entitlement” that they needed to get past. Fortunately, none of these things are true. So, instead of bashing indie stores maybe indie authors would be better off trying to understand them first? I mean, just what does it take to get indie bookstores to stock a book on their shelf? Most indie stores are very small, the majority of them have under 3000 square feet of space devoted to the public. That’s not a lot of shelf space. This is enough room for approximately 3500 titles. Maybe they cram in a few more during the holidays, but still a low number compared to a Barnes & Noble or a Books-a-million. As an indie author you want to be one of those 3500 authors sitting on the shelf. Why? Because print still outsells digital. Despite all the hype about the growing percentage of e-book readers the numbers still say e-books fall second to print. No doubt this will change in the coming years, but the death of print has been over exaggerated. It will still be around for quite some time. Obviously the percentages add up to more than 100%, this is because the people polled could answer more than one choice. Regardless, let’s look at the results. Bookstore staff recommendations are number 2 on the list with 30.8% of the people polled. Bull, you say? You get all of yours from the Amazon Alsobots! If you’re reading this blog I’m sure that’s true. Never make the mistake of assuming that whatever is true for you automatically puts you in the majority. That said, let’s look at the big picture for a moment. It’s estimated that there are 126 million books in existence in the world today. With the advent of digital publishing an estimated 15 million new books were published in 2012 alone. There are an estimated 10,800 indie bookstores in the United States. Bookstore revenues for 2012 totaled 19 Billion dollars. No, that’s not a typo, Billion with a B. To get a slice of that 19 billion the small bookstore owner had to deal with a process that was mostly dictated to him. Margins are small and overhead is a constant worry. So, to be successful and survive the bookstore owner needs to be very business savvy. Unfortunately for him, most indie authors are not. There is much more to selling books than slapping a price tag on the cover and placing it on the shelf. Every book they choose to carry is taking the place of another book. They have to be very careful about what books they pick as each book has to do one thing first. If the book won’t sell the store doesn’t make any money, the staff doesn’t get paid, the lights go off and it closes. Simple as that. Finding books is easy, finding books that sell is not. Even if they passed on the obviously bad books out there they still don’t have enough space to carry all the good books they would like. They have no choice but to be picky. Sometimes to the point of coming off as snobbish or rude. But they rarely have time to explain the reasons why to the indie author, after all, they have a business to run and it’s not their job to teach every author who walks in the inner workings of the book business. Indie Bookstores and indie authors are not that different. If anything they are on the same team. 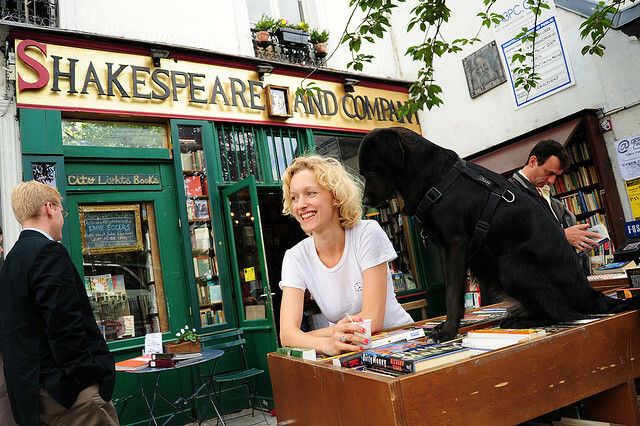 Finding good books to sell is an essential task for every bookstore. Most indie bookstores have a small staff, they don’t have time to truly evaluate every book they see. They have to sell books. If they can’t sell your book and make money from it then it isn’t worth the space on the shelf they gave it. As much as they may wish to they can’t afford to stock an indie authors books just to be nice. Every book on their shelves has to earn its place first. Publishers have reps they send out on the road to talk to booksellers. They bring with them a list of books that are “selling”. In other words these are the books that they are actually spending some advertising dollars on. (If you go to the Ingrams website and check the current list you’ll see asterisks next to some titles) The bookstore owners know these people, they know the book being pushed will be of good quality and available through a vendor they deal with regularly, they know they will be able to get the book at a reasonable margin that will enable them to sell it for a decent profit. They know if they need credit to make the purchase they will get it from the vendor as they have had that set up for years. The publisher helps them by finding books that are going to sell for them and they package them so they are easily available through their existing system(s). This produces one order and one invoice making the whole process a lot easier. The indie author doesn’t. But the publishers are downsizing, which means fewer people out on the road. This means a lot of good books are going unnoticed by the smaller stores as the reps concentrate on their bigger clients. What this means is that the indie bookstores need indie authors to bring their books to their attention. They want them to do so! But if you walk into the store with a copy of your indie published book and tell them it’s available from you on your website or through Createspace, your chances of getting on the shelf are slim. They already know how much work would be involved to put your book into their system, how much the margin would be, what kind of advertising is attached, what the potential is for selling it, and what the profit margin would be. The numbers and the time they have available are against the indie author. It’s simply unrealistic to expect a busy bookstore owner to forgo his current system, spend the time to read, evaluate and set up an indie author as a separate vendor, all for an author whose books he doesn’t even know. Ones with a low chance of sale and little profit potential. It’s a bookkeeping nightmare from which they stand to get little return. One could see why they develop a snobbish attitude toward the indie author pushing their book. I saw this personally the last time I visited my local indie store. The manager showed me a book an indie author had dropped off while he was out. This is how indie authors came to believe that indie stores are Big 5 friendly. No doubt some are, but if they can find quality books that are set up with the vendors they work with, at a discount they can actually make money at, they will stock them. Will they have to change to meet the demands of this new world of publishing? You bet. And they will. They just need indie authors to meet them halfway. These people love books, or they wouldn’t be in the book business to begin with. I doubt anyone will argue that there are easier ways to make money these days then owning a bookstore. Fortunately, for all of us involved some BIG changes happened this year that will make all this much easier. Getting your books into the stores has become a simpler process for the indie writer and a more profitable option for the indie store. You just need to know how to navigate the minefield in order to do so. In Part Two of this post I’ll talk about how to do that. There’s some history and a little math involved, but don’t worry, it’s not that hard. I hadn’t realized why CreateSpace had no physical presence in the US book distribution system: because, as you say, the margins are “paper thin”. That hadn’t occurred to me, very interesting and enlightening.